Think your bill is too high? Learn what you can do to lower your energy costs. More and more people are concerned about rising utility bills. Consumers are looking for ways to control their energy use and reduce their impact on the environment. The best way to do this is to be aware of how much energy you use each month and how it is being used in your home. This involves learning how to read your meter and track your energy use. With this information, you can budget your energy use, just like you budget for groceries and other household expenses. Take a few moments to consider the situations below. Then, if you still have questions about your electricity use and costs, call your local electric cooperative. We’re here to help! Energy costs in the situations below are estimates from the Use Energy Wisely Guide. Energy costs vary by household, family size, age and efficiency of appliances, etc. FACT: There is a direct relationship between the number of people living in a home and the amount of energy that is used. That’s especially true if you have teenagers at home. In addition, if friends and relatives are visiting, you can expect to use more energy for cooking, baking, laundry and hot water. 2. How much hot water do you use? FACT: About 15% of the energy used in the average Midwest home is for water heating. When you take a bath, do you use hot water sparingly or is the tub completely full? Do you take short showers or stay in the shower until the water gets cold? Do you have leaky faucets, with hot water dripping down the drain? Do you operate your dish washer and clothes washer with full loads or whenever it’s convenient? 3. Do your appliances work around the clock? FACT: About 28% of the energy used in the average Midwest home is for appliances, electronics and lighting. Do you turn off the lights when you leave a room? Are your appliances Energy Star rated? Does the television entertain your family or do you leave it on to entertain an empty room? Do you use an oven to re-heat food or do you use the microwave whenever you can? 4. Do you use a space heater or dehumidifier in your home? What about an electric dryer? A hot tub? FACT: These devices add comfort and convenience to our lives, but they use a large amount of electricity. A 1,500-watt space heater adds about $36 per month to your electric bill, when used 8 hours a day. If heater runs 24-hours a day, that's $108 per month. A dehumidifier costs about $25 per month, when it runs 12 hours per day. An electric dryer adds about $10 per month to your electric bill for 20 loads. A hot tub costs about $45 per month, when running 24 hours a day. 5. How many televisions, computers, gaming consoles, routers and TV receivers do you have in your home? FACT: These electronics are called energy vampires because they use energy even when they are turned off. An estimated 10% of the electricity used in American homes every month powers energy vampires. Pull the plug on these electronics when not in use. If a device has an indicator light or clock that stays on, even when it’s turned off, it’s drawing power. These include computers, printers, gaming consoles and audio equipment. Chargers for cell phones, tablets and laptops use energy, even when they’re not charging! 6. Does your home have central AC or a window AC unit? FACT: Cooling your home is a large part of your monthly energy use. Central air uses about 750 kWh of electricity a month. The cost for this comfort adds about $87 to your electric bill per month. A window unit will add about $45 per month. This varies from household to household, depending on location and insulation levels of your home, the efficiency of the unit and how long you run your AC. You can increase the efficiency of your AC system by replacing filters monthly. Also, pull the shades to block direct sunlight and radiant heat, and seal air leaks to keep heat from entering your home. Fans are a great way to stay cool, but remember to turn them off when leaving the room. Fans cool people, not rooms! 7. Is your electric bill higher than your neighbor’s? Why? FACT: Your electric bill reflects the amount of electricity used by you and your family in your home. Does your neighbor have fewer people living in and visiting the home? Is the neighbor’s house smaller? Newer? Better insulated? Does it have new windows and doors? How much hot water does your neighbor use? And what about your neighbor’s use of appliances and lighting? What is your thermostat setting in summer and winter, compared to your neighbor? 8. Do you heat your home with wood? Remember: Most stoves that burn wood, gas, corn, pellets and other fuels for primary and back-up heat depend on electricity to operate pumps and fans to distribute heat. 9. Do you use more electricity during the holidays? 1. Holiday entertaining involves extra cooking and baking, which requires extra energy. Don’t peek! Opening oven door can lower temp by 25° and causes oven to use more energy. 2. Holiday guests use more hot water for showers, laundry and dish washing. Run only full loads in the dishwasher or better yet, wash and dry by hand to conserve energy. 3. Holiday lights and decorations use electricity. Switch to energy-efficient LEDs. 4. Shorter days and longer nights mean lights stay on longer, both inside and out. 5. Space heaters are often used in garages, basements and rooms for extra warmth. 10. Want to know how much electricity an appliance uses in your home? Just plug your appliances into a Kill-A-Watt monitor and the device will count the appliance’s kilowatt-hour electricity use. When you know how many kilowatts the appliance is using, you can calculate the appliance cost by the day, week, month or year. 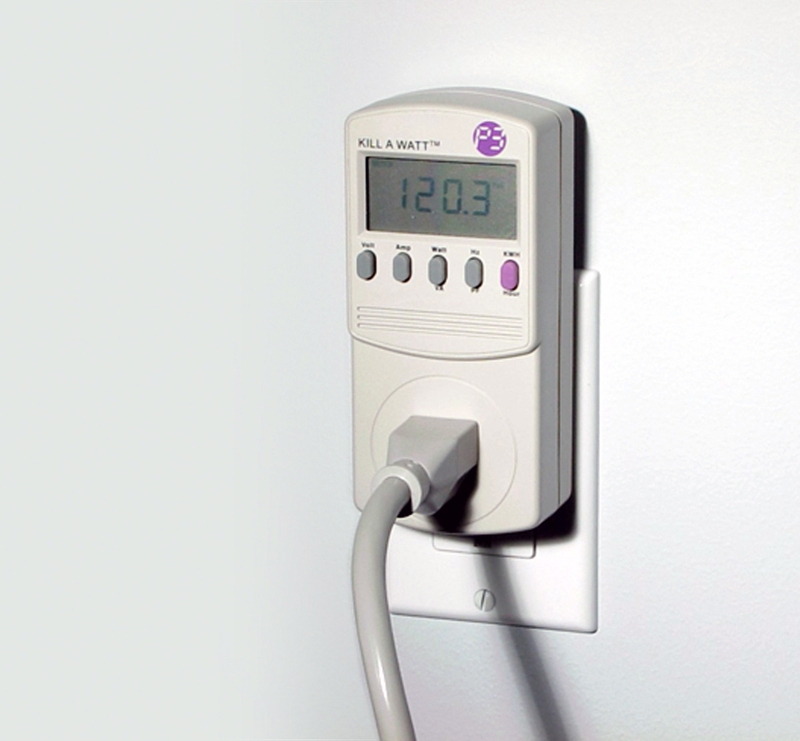 Electricity monitors cost about $20 and can be purchased at home and hardware stores. For assistance, call our member services department. We’re happy to help, 800-421-0283. You can also find a list of appliances and their kWh energy costs in our Use Energy Wisely Guide. 11. Still have questions about your electricity use and costs? Check out our Use Energy Wisely Guide for more details and call your local electric cooperative, 800-421-0283, ext. 595. See more resources for co-op members below. How much do you know about home energy use? Is it cheaper to use the dishwasher or wash dishes by hand? Does your home lose more heat through the walls or windows? Take our quiz and find out. Ever been surprised by an electric bill? Wouldn’t it be great to check how much power you are using, so you could make some changes? The My Usage feature on SmartHub can help you avoid the surprises and make better energy decisions. See how much power you’ve used over a specific time period: daily, weekly, monthly or yearly. Improve energy efficiency and comfort in your home with EnergySense rebates on appliances, lighting, EV chargers, geothermal and renewable energy systems. The off-peak program puts your electric baseboard heat, ETS heat, heat pump and water heater on load control in the winter when the regional demand and price of electricity is high, in exchange for a lower electricity rate. In the summer, you can put your air conditioning and water heater on the off-peak rate. Learn if off-peak is a good option for your home! Whether you are a DIY’er or working with a contractor, our Home Efficiency Analysis Tool (H.E.A.T.) provides a detailed guide for home improvement projects that boost energy efficiency. Check out our article library.